Out this Wednesday, August 1st, 2012 from Marvel. "The breakout star of this summer’s blockbuster Avengers film and self-made hero Hawkeye fights for justice!" 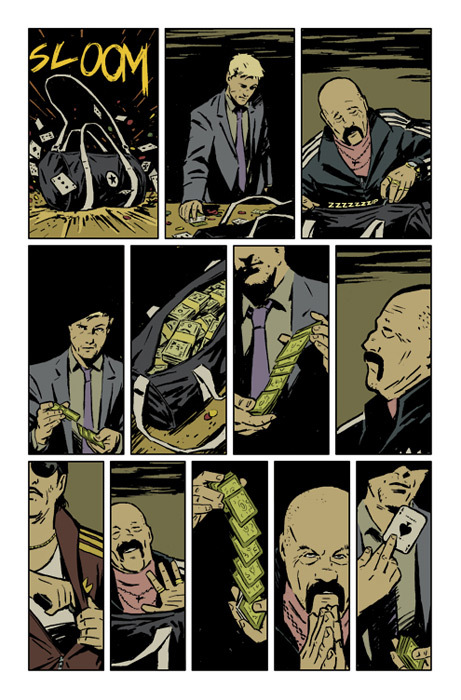 Written by Matt Fraction, drawn by me, colors by Matt Hollingsworth and letters by Chris Eliopoulos. 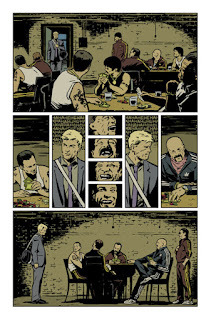 There is a new lettered preview up at CBR. 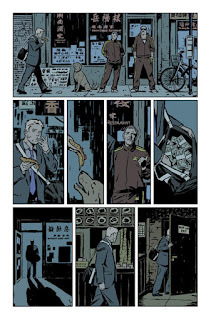 And here you have an Spotify list with music that could fit nice with this issue. Let's call it the unofficial Soundtrack of Hawkeye #1. 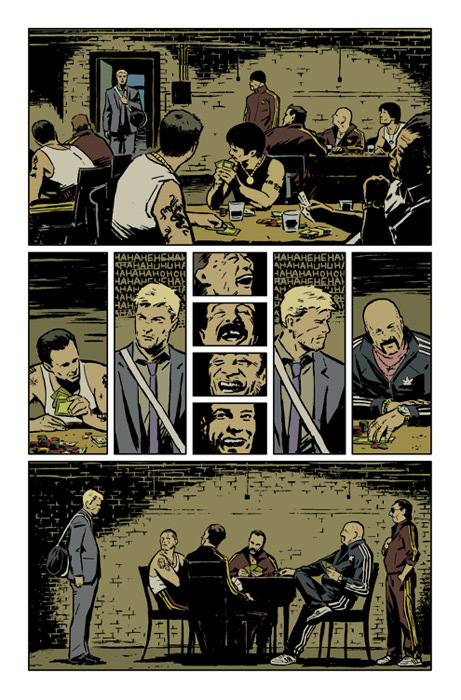 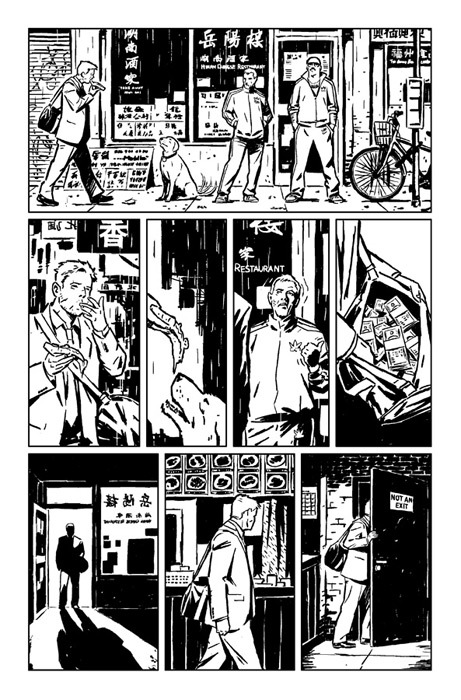 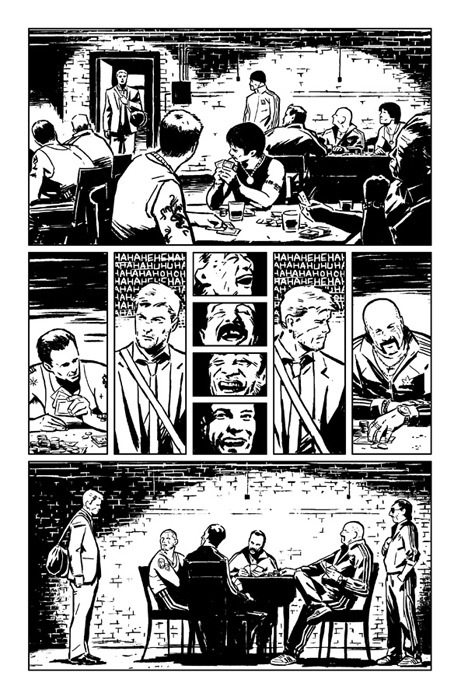 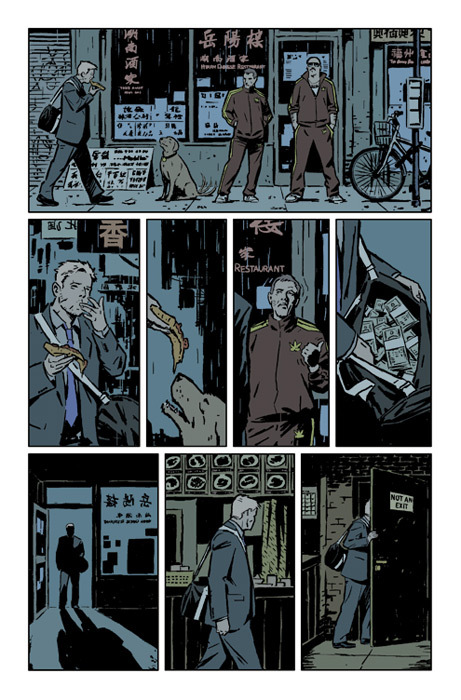 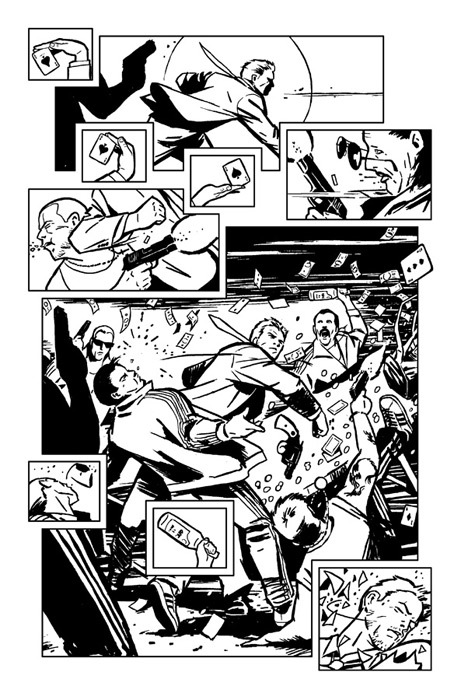 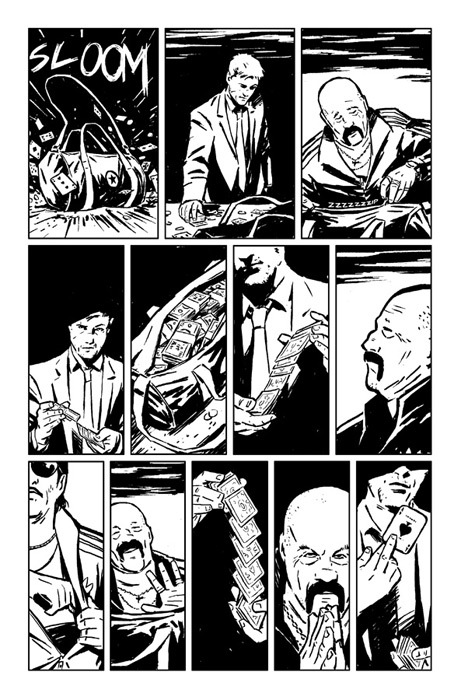 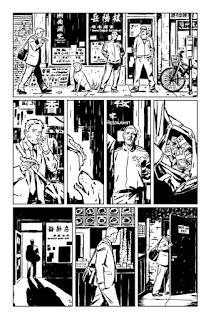 Unlettered Hawkeye #1 Preview. 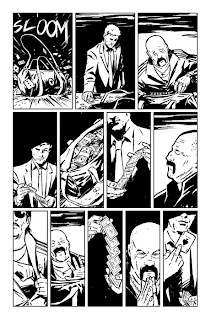 Out Wed, August 1st, 2012 by Marvel. 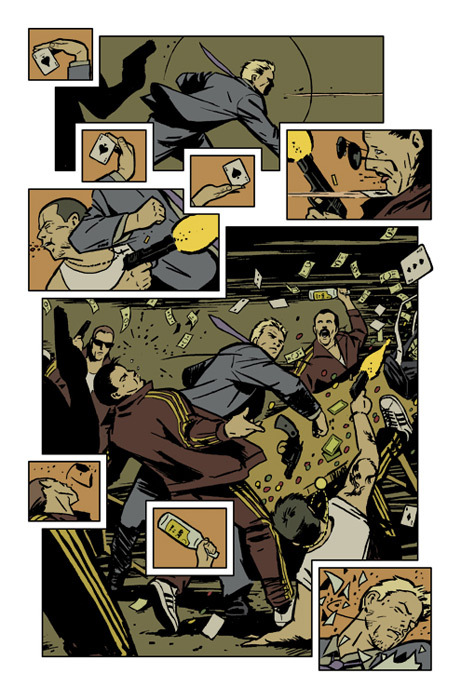 Written by Matt Fraction, Drawn by me and Colors by Matt Hollingsworth. 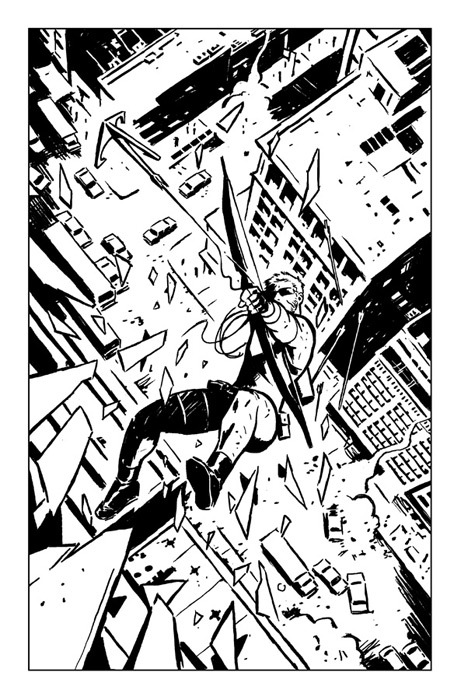 Original press release at CBR.